Feeding the right diet is crucial for ensuring health and longevity. Getting the right balance of nutrients for the particular age of cat makes a huge difference to the health of your cat and therefore it’s happiness. Here at Gæludýr.is we offer free dietary advice from our Vet, andwe can discuss picking the right diet to suit your cat. Contact a member of our team to find out more or to book an appointment. Ensuring your cat gets the right amount of exercise for fitness is very important. 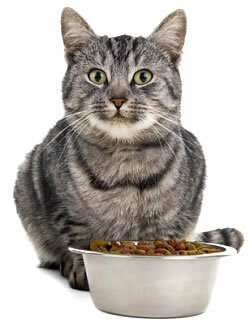 In addition to promoting health and fitness, exercise is also important for keeping your cat mentally stimulated. Cats which go outdoors will naturally exercise more than those who are kept indoors throughout their lives. Cats can live indoors perfectly happily and healthily, as long as the conditions are right, and this includes actively playing with indoor cats to ensure they exercise sufficiently. 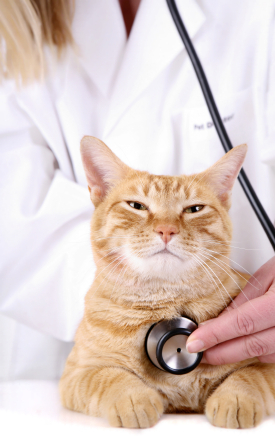 Regular health checks with a Vet are important to ensure your cat stays as healthy as possible, and any health problems are detected early. Making sure you check your cat yourself at home is a key part of this, and examining eyes, ears, teeth, feet, skin and coat on a regular basis can be very helpful. Your Vet will make sure your cat has been vaccinated appropriately and has had the right level of flea and worm treatment to suit the lifestyle of your cat. The level of flea and worm control needed depends very much on your cat’s lifestyle, whether it is an indoor or outdoor cat for example, but as a general rule we advise using flea control preventatively on a monthly basis and worming every 3 months. Our Veterinary staff here at Gæludýr.is can give you all the help and advice you need on this subject. More information on these general topics can be found on the Dýralæknaráðgjöf pages of our website. We have trained Veterinary staff in-store and we are happy to answer any queries you may have. You can also contact our Vet on email via our ‘Ask the Vet’ link on our homepage.